Enhanced Visuals Compatible with PS4 and PS4 Pro. Enhanced with PS4 Pro. 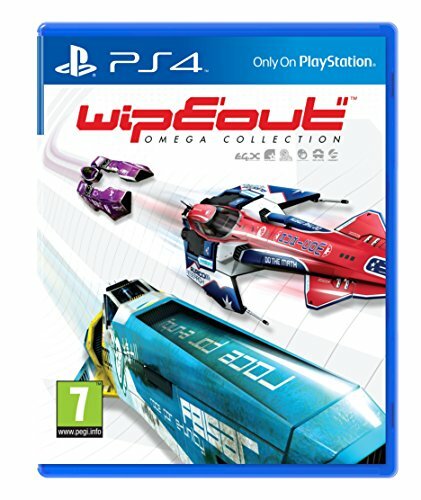 Under The Hood:WipEout Omega Collection features content from WipEout HD, WipEout HD Fury and WipEout 2048. Rapid Combat Racing:Rip around sharp bends, power through stomach-churning loops and dive down sheer drops as you take out your rivals with well-timed weapon blasts. Competitive Multiplayer:Play online with friends in eight-player races, or classic two-player split screen.